We’re back with another ‘Extra’ podcast for our subscribers. Not one of those yet? Well keep reading to see how to remedy that. As always, thanks to each and every one of our subscribers, listeners, and readers for supporting AFTN into 2019. It’s hopefully going to be a memorable year on both club and country levels, and this episode we turn our attention to the latter with a 38 minute Canadian men’s national team special. We kick things off with head coach John Herdman and his chat with reporters this week ahead of Sunday’s game with French Guiana as he talks about what threat they pose, the absence of Alphonso Davies, a change of culture in the squad, and just how good this group of players could be. We also bring you two one on one chats with a couple of former MLS players now plying their trade in Europe – Ballou Tabla and Cyle Larin – as they talk about settling in to new surroundings, how excited they are about this Canadian team, and how they feel about their former sides. We also chat with Tabla about making his commitment to Canada over the Ivory Coast. Enjoy, and as always, thanks for subscribing. You can read all the details about what our ‘Extra’ podcast is, how you can get it, and how we deliver it to you, HERE. If you don’t have paypal and want to pay a different way, or just want to buy this single episode (cost is $3 for a one-off episode), or if you have any further questions about the service, then drop us a line at: aftncanada @ hotmail.com. 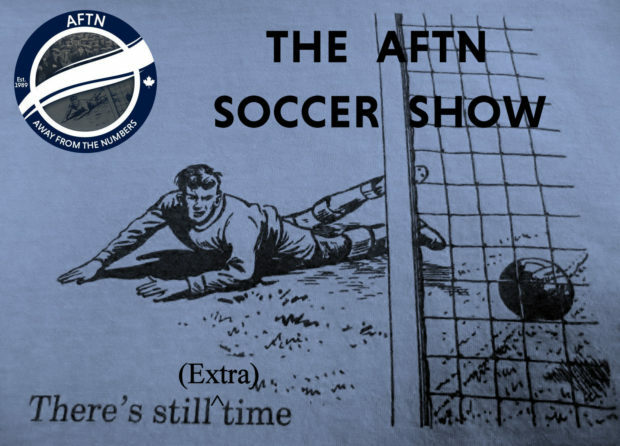 Subscribe today and help support AFTN in continuing to bring you some of the best independent Whitecaps, Canadian, and local soccer coverage around.